Dr Richard Ferber has been helping families sleep soundly for over 30 years. Now he shares his essential advice and proven techniques to help your baby, toddler or child get the best night's sleep. He explains how to help your child: enjoy his or her bedtime routine; fall asleep quickly and easily; self-settle if he or she wakes in the night; sleep peacefully all night long; and go down easily for daytime naps. Ferber's approach is clear and reassuring, and includes guidance on schedules, bedtime routines, naps, feeds, problems with colic and daily rhythms as well as a gentle 'progressive waiting' routine to help your child self-settle. He also offers advice for older children experiencing sleepwalking, sleep apnea, bed-wetting or night-time fears. 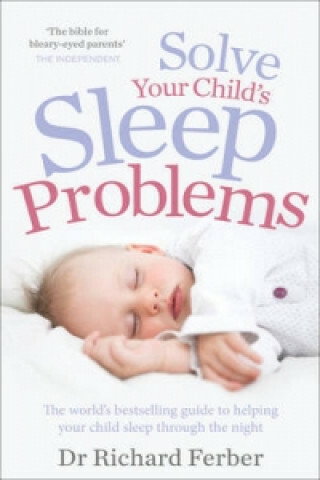 Internationally renowned for its practical advice and concrete solutions, this book is a must-read for every parent who wishes their child could sleep more soundly.